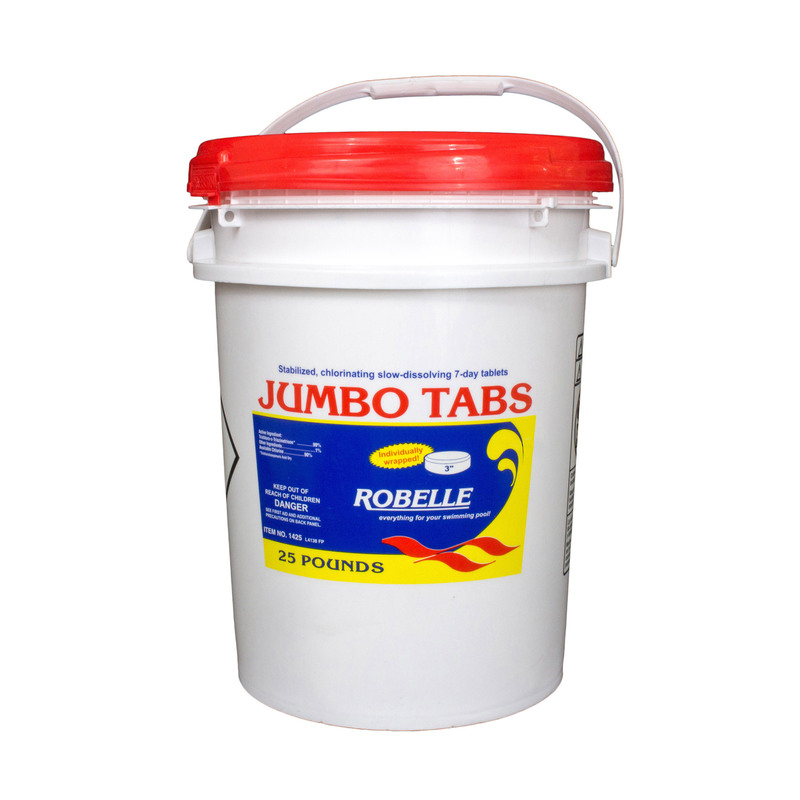 Robelle 3" Jumbo Tabs are the strongest chlorine tablets available. Each 3" 8 oz. 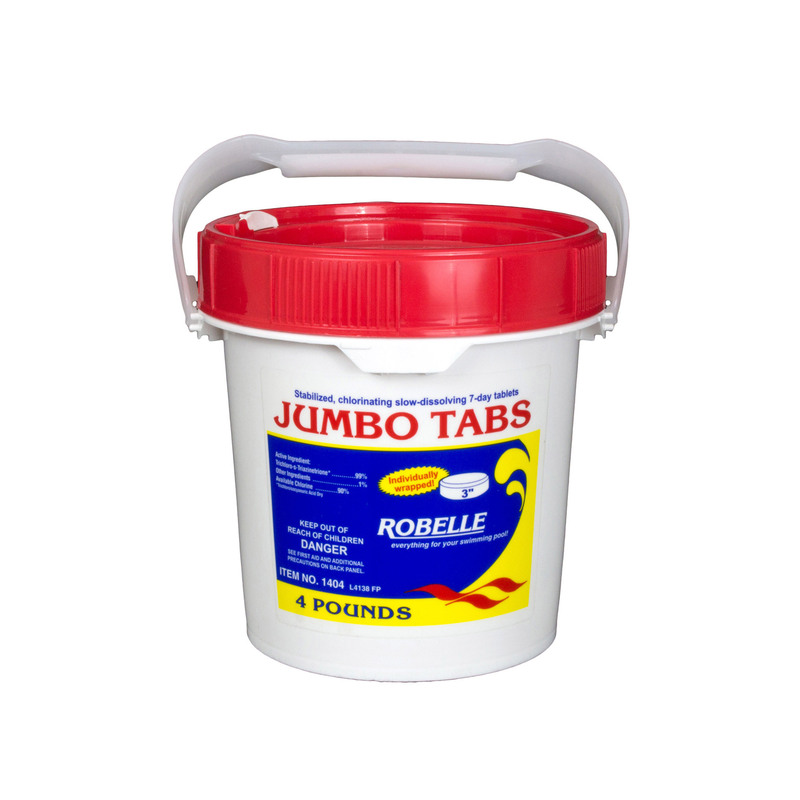 tab is individually wrapped, stabilized, and slow dissolving. 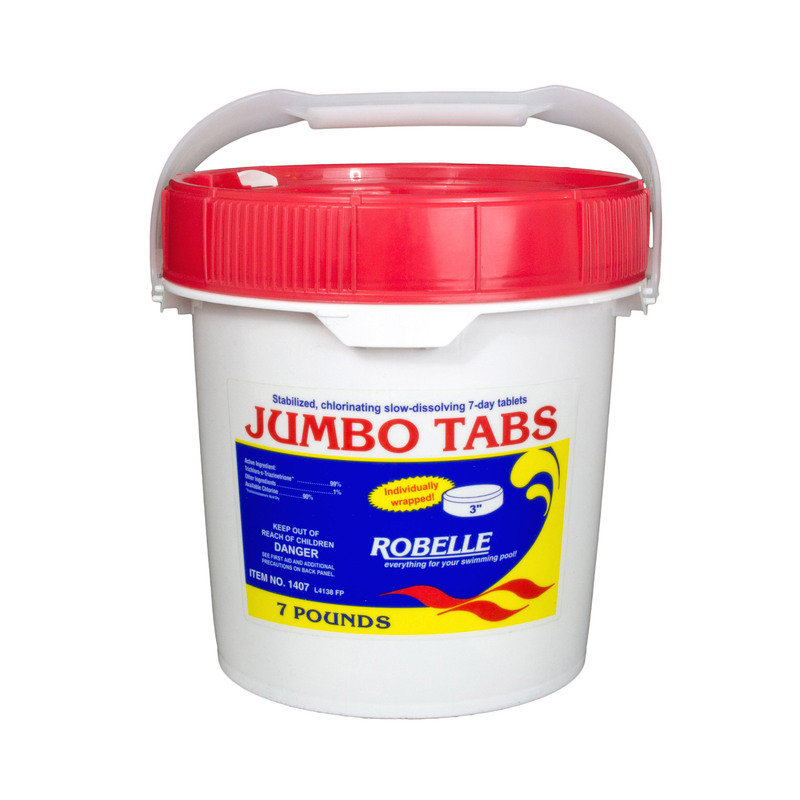 The tabs are wrapped to make handling safer and easier. 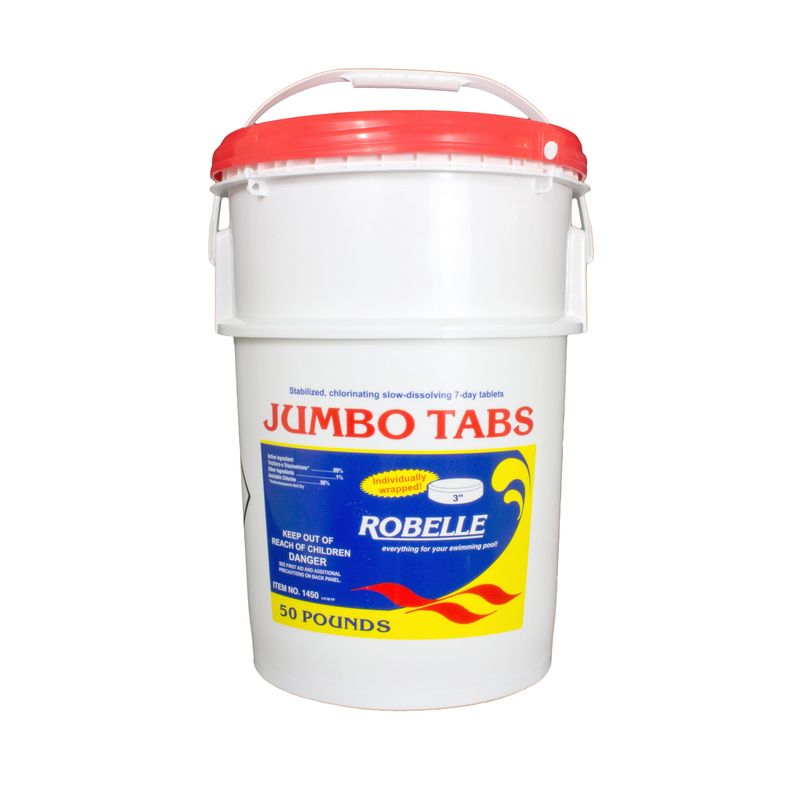 These chlorine tabs are stabilized to protect against harmful UV rays. This will improve the chlorine residual in your pool. 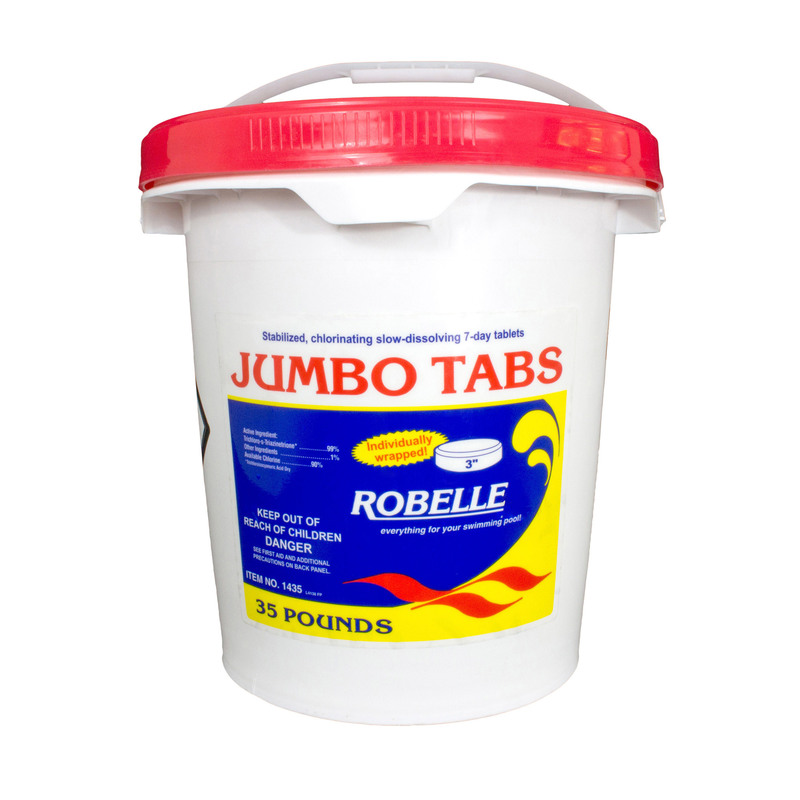 Customers prefer Robelle Jumbo Tabs because it is the longest lasting chlorine available. 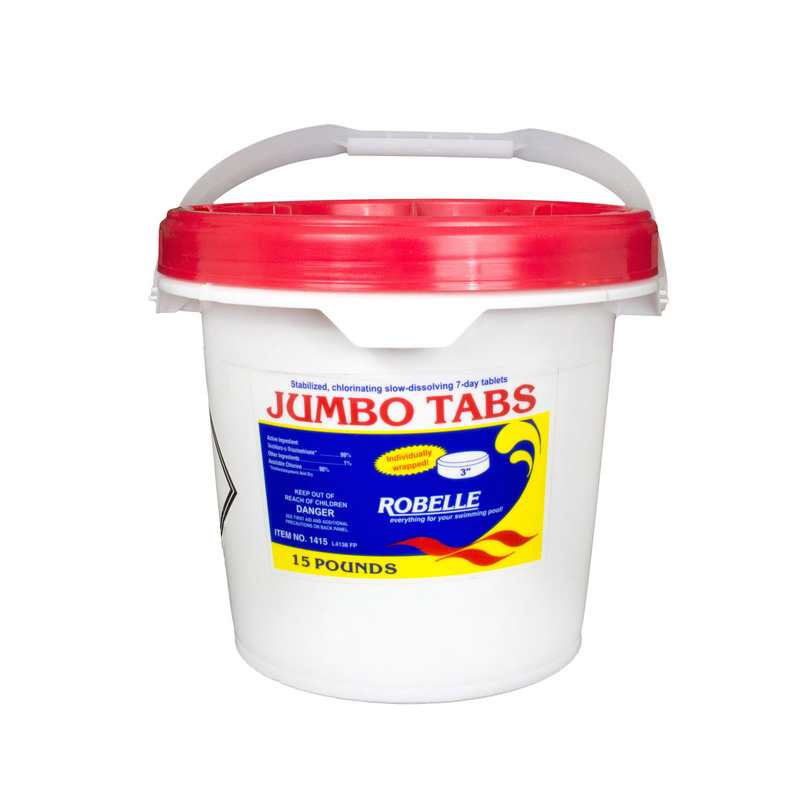 The initial startup and weekly maintenance dosage is 1 to 3 tablets per 10,000 gallons, although this dosage may vary due to unusual conditions such as heavy bather loads, wind, heavy rains, and high temperature. Adjust the rate of the floater or in-line feeder to provide 2.0-4.0 ppm of free chlorine residual. Maintain pH at 7.4-7.6 and total alkalinity at 80-130 ppm.